A mature clump of Cimicifuga japonica is in full flower on the edge of the conifer walk. The scent wafting down from the long plumes these past mild mornings is reminiscent of a delicate disinfectant, not unpleasant but a distinct aroma. 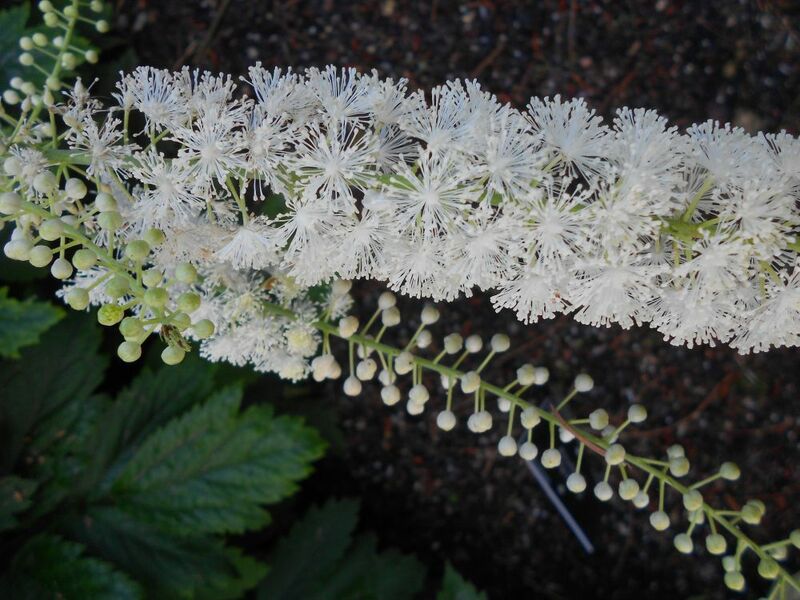 These terminal inflorescences develop with rotund white buds, bursting open to reveal a multitude of filaments. It is at this stage the scent develops. A vigorous herbaceous member of Ranunculaceae, native to China, Japan and Korea where it grows at the margin of forests in the altitude range 800 – 2600m. A vigorous plant with rhizomes and a mass of fibrous root. 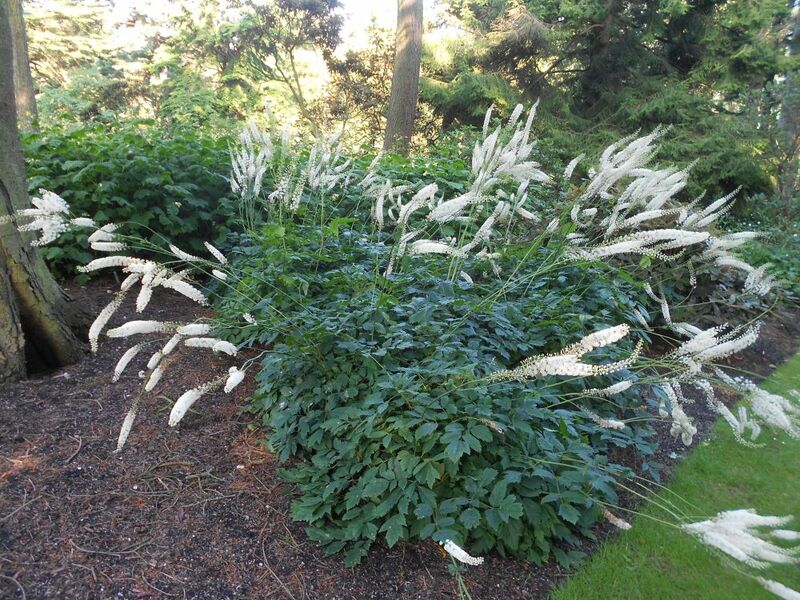 It exceeds 1 metre in height and needs room for the flower spikes to flop about when considering a planting position.